San Francisco’s Market Street store. In our consumer culture of shiny-new-object syndrome, it is increasingly unlikely that a brand will survive—much less thrive—for more than a few seasons. But for 162 years, Levi Strauss & Co. has done just that. The staying power of the Levi’s brand stands out boldly in this era of pop-up stores, Snapchat-style startups and fleeting loyalty. Moreover, Levi’s continues to be considered hip. Complex, a website devoted to twentysomething males, listed Levi’s among its “15 Brands Hipsters Love,” alongside Band of Outsiders and other indie designers. Sightings of Levi’s-clad celebrities fill the pages of style and pop-culture media. 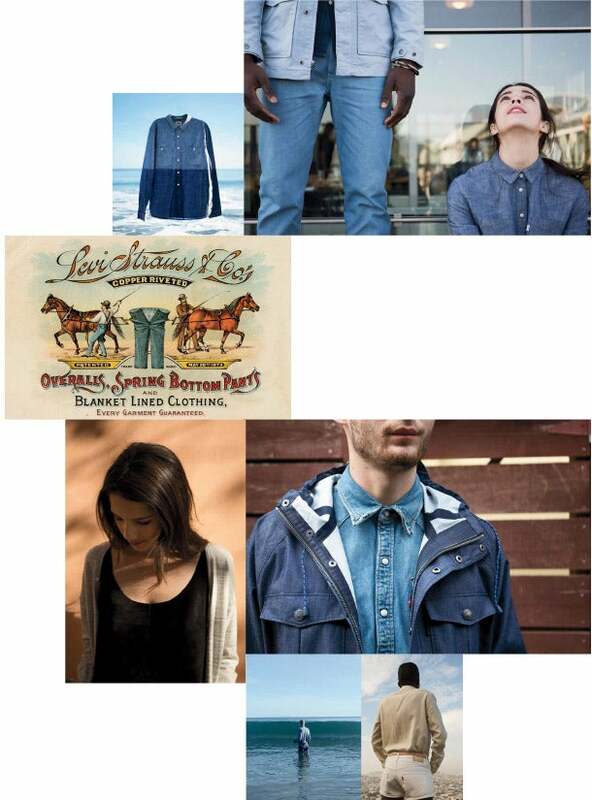 Above all else, Levi’s is authentic—and fiercely committed to maintaining and reinforcing that authenticity. The company got its start by selling built-to-last pants to miners during the California gold rush. 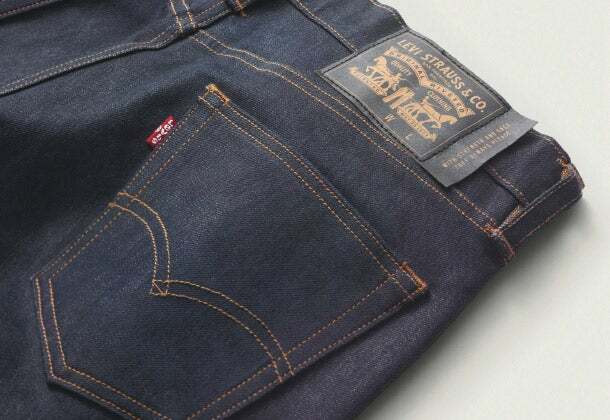 Demand spread across the nation, and as pioneering gave way to manufacturing in the economic landscape of the early 1900s, Levi’s became the clothing of choice for the working class. During the midcentury deindustrialization period, the company’s denim became popular among rebellious youth subcultures. Its proposition as a genuine, original brand resonated with greasers and hippies alike. 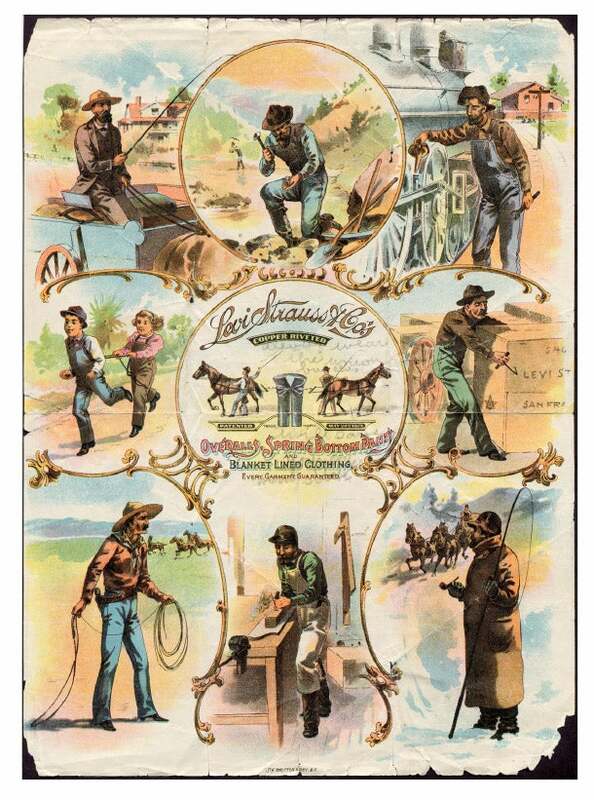 A sales flier circa 1899. In the mid-1980s, Levi’s launched a campaign promoting its classic 501s, which rekindled excitement and demand for the five-pocket jean originally introduced more than 100 years earlier. The company returned to the effort again in the late 2000s. These days, authenticity is one of the most common business buzzwords and desired brand traits—and with good reason. The Authentic Brand Index (ABI) has shown that the stronger a brand’s perceived authenticity, the more likely people are to become advocates for it. Authenticity, ABI’s analysts observe, helps fuel success in today’s markets as consumers search for greater meaning and sincerity from the brands they choose. People desire to connect with products that feel safe and certain. Levi’s clearly identifies its core purpose, attributes and value—and then uses them as a compass for everything it does. This resonates particularly with today’s influential young consumers. Go for an emotional response. Starting in the 1950s with print ads featuring celebrity bad boys like Marlon Brando, and continuing into the late ’60s with counterculture radio spots set to psychedelic music from Jefferson Airplane, Levi’s sought to make a powerful emotional connection with its audience. In the ’70s and ’80s, Levi’s turned to TV, capturing consumer attention with vignettes that were risqué at the time, including a commercial starring model Nick Kamen stripping down to his boxers in a laundromat. The spots inspired a visceral response. More recently, in 2009 Levi’s stirred viewers with an expertly crafted and beautifully shot campaign titled “Go Forth.” The series of mini-films sets black-and-white images of a Hurricane Katrina-ravaged New Orleans against a soundtrack of Walt Whitman poetry. By celebrating the “brand for pioneers who are in the process of building a new America,” Levi’s once again managed to capture and convey a unique spirit. In each of these campaigns, Levi’s stoked passion for its brand without describing its wares or promoting product features. In fact, it could be said that Levi’s advertising has systematically avoided selling its products—aiming instead for an emotional connection with consumers. All brands need to evolve to remain relevant. Levi’s, despite the powerful brand equity it has established, is no exception. But the company favors maintaining its brand integrity over jumping onto the latest trends. At times, this stance caused the company to fall behind. In the early 2000s, for example, the design team was late to move into popular new fashion directions like colored denim for women and tailored jeans for men. As a result, sales plummeted. Strauss’ great-great-grand-nephew Robert Haas, CEO from 1984 to 1999, launched a manufacturing code of conduct for overseas suppliers. He was also the first Fortune 500 CEO to extend medical benefits to employees’ domestic partners and one of the earliest corporate executives to champion funding for HIV/AIDS research. Marketing strategies also tie strongly to the brand’s history and values. In 2013 Levi’s held a series of concerts along the oldest U.S. railway route, with stops in small towns. Social media marketing communications, meanwhile, serve to educate consumers about issues such as water conservation, or to support social justice leaders, as much as to promote products. The cultural resonance of Levi’s has withstood the ups and downs of the economy, fashion trends and the business itself. Even more than its products, the Levi’s brand was built to last.